Janice Callaway Frampton, 87 of Huntington, WV passed away at Heartland of Riverview on August 29, 2016. She was preceded in death by her husband William B. Frampton; her parents Everett and Ruth Callaway; brother-in-law Claude Messinger; and sister-in-law Lois Goode. 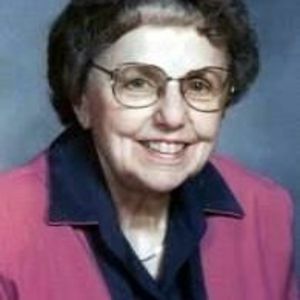 Mrs. Frampton is survived by her three daughters: Linda Frampton and Martha (Louis) Hagan (all of WV), and Laura (Dennis) Disney (of TN); her grandchildren: Ashley (Porfirio) Jimenez, Callie Disney, and Heath Disney; her great grandchild Porfirio (Gigio) Jimenez, IV; her brother Garner (Judy) Callaway; sister-in-law Maybelle Messinger; and brother-in-law Jim Goode. Additional family includes a host of nieces and nephews. She committed herself to Christ at an early age and spent the rest of her life in service to her family and others in His name. A life-long member of Fifth Avenue Baptist Church (FAB) where she served in various volunteer capacities spanning several decades, she eventually felt called to full-time Christian service, becoming the FAB Administrative Assistant, a position she held for over 30 years. Mrs. Frampton’s children wish to express a very deep and abiding thank you to the entire extended family. You epitomize what it means to be family. A special thank you to friends and ministerial staff at Fifth Avenue Baptist Church, the team at Heartland of Riverview, Dr. Apgar, Dr. Valsecchi, and Hospice of Huntington. And a very special thank you to Crystal McCarthy of Village Caregivers. Arrangements are being coordinated by Klingel-Carpenter. In lieu of flowers, donations may be made to Fifth Avenue Baptist Church, 1135 Fifth Avenue, Huntington, WV 25701. Private interment services will be held for the family. Everyone is welcome to the celebration of Janice’s life and legacy on Friday, September 2, at 1 p.m. in the Fellowship Hall of Fifth Avenue Baptist Church.